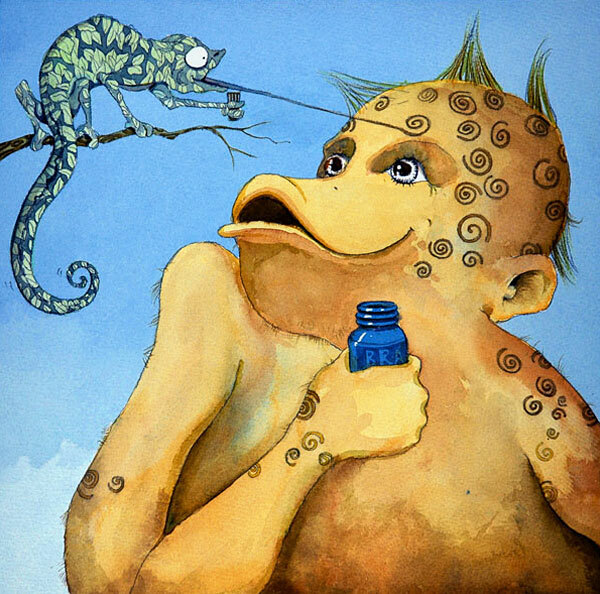 This incredible illustration was used for the cover page of Rolandas’ children’s book “Zoolidays” which won a Tassy Walden Award in 2007. The whimsical and jazzy art work will fit beautifully into any environment, for example, in a child’s room, a nursery or really anywhere else that you would like to provide happy warmth. This image is sure to brighten up any living space.